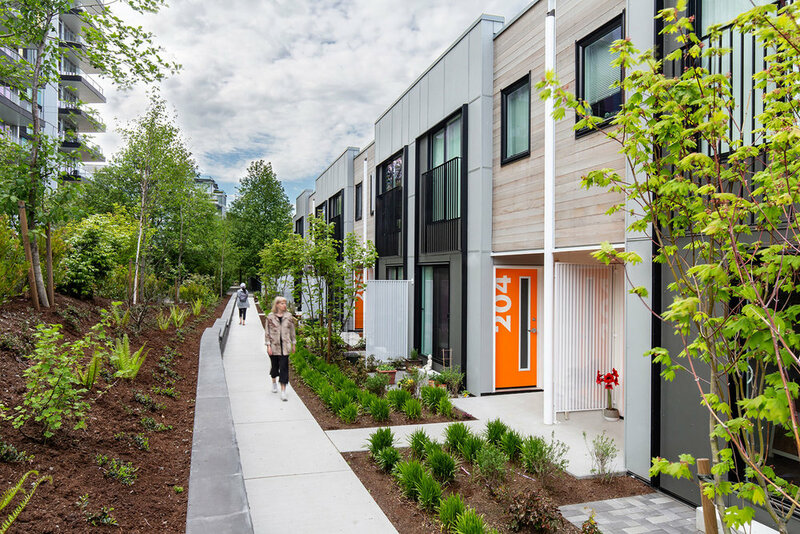 Madrona provides affordable housing within the larger site wide Dockside Green rezoning plan located in Victoria, British Columbia, Canada. 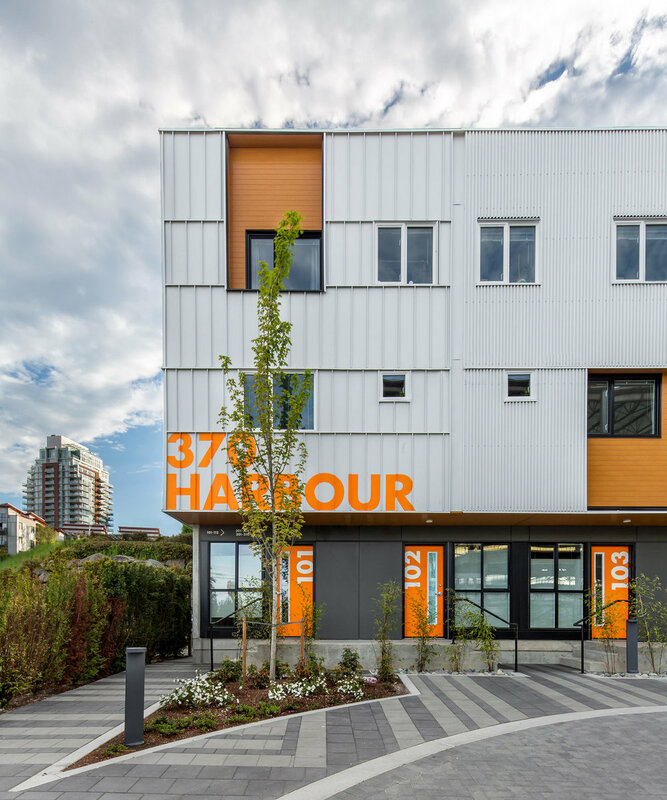 Dockside Green is a urban neighbourhood committed to creating a well-loved, culturally vital neighbourhood where the mix of people and environment fuels health and a vibrant local economy. Consisting of two low-rise buildings with 49 rental units made up of studios, one bedroom apartments, and 2- and 3-bedroom townhomes. Madrona contributes to a well-loved, thriving community and a vibrant local economy. With access to fresh produce, entertainment, places to live, work and play. We were engaged to design and develop the buildings signage package. We used a strong robust logotype, with a vibrant orange which acts as a visual beacon. Creating an industrial yet welcoming feel. Referencing the shipbuilding and commercial fishing centre of the sites past. Design by Bonnie Retief and Femi Coppi. Project Architect Elena Chernyshov. Images courtesy of HCMA Architecture and Design.